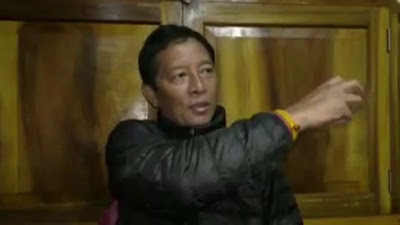 Darjeeling: The Binay Tamang camp of the Gorkha Janmukti Morcha has decided to rename the frontal organisations of the party in an attempt to make them more "inclusive" and to probably distance them from Bimal Gurung. On Saturday, the Janmukti Asthai Karmachari Sangstan (JAKS), a body of around 6,000 GTA workers, renamed itself United Employees' Association. Though the decision followed a "suggestion" from Tamang, the members said the organisation would remain "independent". "We want to make our frontal organisations more inclusive. An association is meant for all. By attaching a party name even to frontal organisations, we are the closing doors on those who are not with us," Tamang said. According to sources, Tamang planned to change the names of the teachers' and transport organisations and other unions affiliated to the Morcha. Anil Rai, the president of the newly formed UEA, said: "We had recently held a meeting with Binay Tamang in Mirik. Following his suggestion and that of a majority of our members, we have decided to remain independent and changed our organisation's name." The Tamang camp had earlier changed the office-bearers of JAKS, who were then perceived to be close to Gurung. "By making these changes, the Tamang camp has almost detached itself from the Gurung lobby completely," said an observer. No leader from the Gurung camp was willing to comment to comment on the changes. The Binay Tamang camp of the Gorkha Janmukti Morcha has decided to rename the frontal organisations of the party in an attempt to make them more "inclusive" and to probably distance them from Bimal Gurung.